They seem harmless enough, but finding them is a bit... annoying. I found the fellow above in the bathtub, and it's not uncommon to find more than one. Unfortunately, some started to appear near the kitchen sink as well. Or outside of the bathroom on the floor (at least that's where we noticed them). I think this thing prefers darkness over light, and seems to be drawn towards wet places or just water. These critters are also surprisingly fast. What is it? Should we be concerned about a pest problem, or is this just a minor, unwelcome guest? PS. We live in Poland. 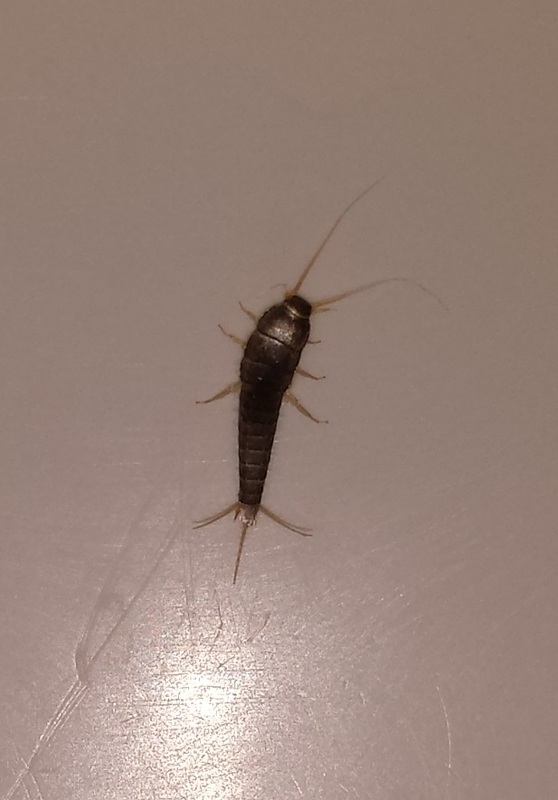 It is a Lepisma saccharina or silverfish. It is rather common and yes, it's harmless. Not the answer you're looking for? Browse other questions tagged species-identification or ask your own question. Bug Identification: what type of bug is this small ant-like bug? What is this fluffy bug? Help! What kind of bug is this? What kind of bug is this one? What is this bug I squished?